Recently, a collection of our Senior School students performed a collection of short plays in a series they called So Much Drama! ; you can read more about their production in this week’s article by Ms. Sinclair. What I want to comment on is the collaboration of drama and music. Up until the advent of 'talking picture movies', Vaudeville acts were popular. In most cases, the various skits and performances were stitched together via a musical interlude. Such is the case in So Much Drama!. Megumi Tsuji, whom I have featured earlier this year, provided an assortment of piano pieces while the sets were being arranged for each vignette. I have included a copy of the play programme so that you can know the cast and their works. I am very pleased that 'straight-up' drama has found its way back into our Performing Arts programme, offering our non-musical thespians the opportunity to take center stage; however, I am equally pleased that Megumi's contribution elevated essential set changes that would otherwise be downtime for an audience seated in dark silence. I congratulate all cast and crew alike; Bravo! Click here to enjoy the perforances. All day every day, KES Day Students show up ready to learn, play and lead. 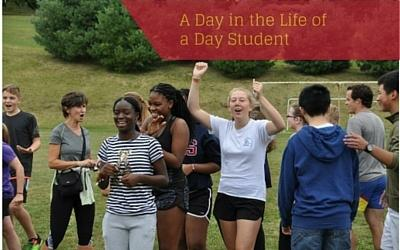 Find out all the things a Day Student gets to do in our downloadable photojournal, A Day in the Life of a King's-Edgehill School Day Student.